Its Fail 2011 - Year of Hacks ! 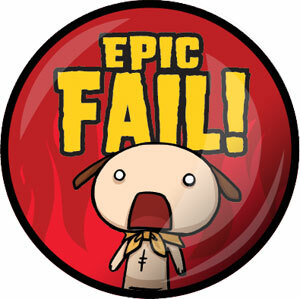 According to IT security experts Year 2011 have labeled as the "Year of the Hack” or “#Fail 2011”. Hacking has become much easier over the years allowing hackers to hack into systems easier then ever before, which is why 2011 had a lot of hacking happen so far. Hackers are coming up with tools as well as finding new methods to hacking faster then companies can increase their security. Even, Every year is the year of the hacking as long as there are hackers out there ready to execute their malicious programs and attain their goals like gathering important information to the victim's computer, stealing important identities, credit card information, etc. This year 2011 could be another generation of hacking. Since every year there are always forward advancements of the tools and programs that could use by the hackers. The most important is to avoid them if you are a computer user. Method - Advanced Persistent Threat (APT) targeted at individuals within an organization using social engineering. Malware hidden in an Excel spreadsheet exploited a zero-day (unpatched) Flash hole. Harm - SecurID token deployments at financial, government and other sites were at risk. Motive - 21-year-old Iranian patriot took credit saying he was protesting US policy and retaliating against the US for its alleged involvement with last year’s Stuxnet, which experts say was designed to target Iran’s nuclear program. Method - Compromise of digital certificate registry authorities led to the theft of digital certificates that are used by sites to prove they are who they are legitimate. Harm - If they had not been revoked the faked certificates could have been used to spoof sites like Google, Yahoo,Microsoft and Skype. Motive - Lulzsec ,Anonymous, Lebanese hacker Idahc and various other hackers organized the attack in retaliation for Sony attempting to identify visitors to PlayStation 3 hacker George Hotz' blog site, as well as seeking data from his Twitter and YouTube accounts as part of a lawsuit. The case was later settled out of court. Harm - Defacement of various domains of Sony and Personal information of 77 million people, including customer names, addresses, e-mail addresses, birthdays, PlayStation Network and Qriocity passwords, user names, online handles and possibly credit cards were exposed. Harm - X factor contestants personal information exposed and internal Fox data exposed. Harm - Passwords were leaked and a fake news article was published on the page. Motive - Google says attack originated in China and appeared designed to monitor communications of journalists, political activists and military personnel. Method - After stealing passwords with a phishing attack, perpetrators apparently used the passwords to change Gmail users' forwarding and delegation settings. Harm - Attack was "disrupted" but it's unknown if any snooping was accomplished. Harm - Source code and user data of 40,000 people reportedly compromised. Harm - Site was hacked, defaced and 180 Infragard usernames and passwords were leaked. Harm - Names, account numbers, and contact information, including e-mail addresses, were accessed during the breach, which affected about 360,000 customers. Harm - System hosting BioWare Neverwinter Nights forum is breached and user names, encrypted passwords, e-mail addresses, mailing addresses, names, phone numbers, CD keys and birth dates may have been compromised. Some unencrypted passwords believed stolen. some Sega Pass member e-mail addresses, dates of birth, and encrypted passwords compromised. Motive - After NATO released a report singling out Anonymous' hacktivism as a cyber threat, the group warned NATO not to challenge it. Harm - subscribers to NATO's e-Bookshop service were urged to change their passwords after a possible compromise of usernames, passwords, addresses and e-mail addresses. Motive - LulzSec said it is leaking the data to protest "racial profiling anti-immigrant" policies of Arizona law enforcement, specifically SB1070, which makes it a crime to be in Arizona without documentation proving United States residency. Releases another batch of data on June 29. Harm - publicly released hundreds of private intelligence bulletins, training manuals, personal e-mail correspondence, names, phone numbers, addresses and passwords belonging to Arizona law enforcement. Harm - The Fox News Twitter feed was used to publish false reports that President Obama had been killed. Harm - The hackers compromised a server used by the country's customs service and posted location coordinates, license plate and telephone numbers, police usernames and passwords, and a GPS application in response to government communications interception. Harm - Hackers redirected The Sun home page to fake story about death of News Corp. owner Rupert Murdoch, and then later to LulzSec's Twitter feed, as well as redirected a News International's page with a statement on the hack to the LulzSec Twitter feed. They also released phone numbers of News Corp. employees and an e-mail address and password for former Sun editor Rebekah Brooks, who is embroiled in the mobile phone voice mail hacking scandal at News of the World. Harm - Hackers claim to have stolen more than 8 GB of internal data that was allegedly seized during police investigations, including information on the Ministry of Transport in Egypt, Ministry of Defense in Australia, Russian companies and U.S. Justice Department. They threatened to publish it online. Motive - McAfee report does not speculate, but there's a pattern in the targets which do not include China but do include political non-profits, a pro-democracy organization, the World Anti-doping Agency, and the International Olympic Committee and Olympic committees in three countries, which were targeted right before and after the 2008 Olympic Games in Beijing. Harm - National secrets, classified government data, source code, bug databases, email archives, details for new oil and gas field auctions, legal contracts, SCADA configurations and more. Method - A source said the scheme was perpetrated by a third-party vendor that had been given access to Citi's internal systems. Harm - Personal information of 92,408 Citigroup credit card customers in Japan was stolen and sold to third parties, the bank said. Harm - Home page of the Syrian Ministry of Defense site defaced with Anonymous logo and a call for the downfall of President Bashar al-Assad. Harm - RIM's BlackBerry blog was hacked in retaliation for RIM offering to assist London police in combating rioters, many of whom are using BlackBerrys to organize. Harm - Hackers broke into news site of Hong Kong stock exchange, where corporate filings are published, forcing the suspension of trading for seven companies. NOTE : List not Finished here, You can check more latest Hacking News on The Hacker News.